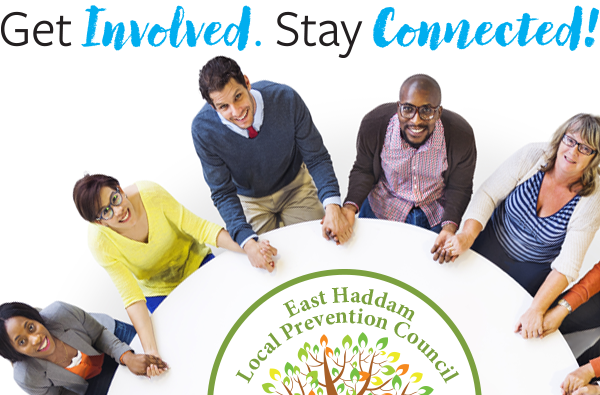 Thank you for your interest in joining the East Haddam Local Prevention Council. The EHLPC is an alliance of individuals and groups, where all members agree to work together to allow our youth to be strong, safe and substance free. The EHLPC envisions a community where all members feel connected, valued, do not abuse drugs or alcohol, and where the entire community supports the well-being of its citizens. Our mission is to reduce the use of alcohol, tobacco, marijuana and other drugs in East Haddam through community action, education, support, and collaboration. East Haddam Local Prevention Council | Powered by Mantra & WordPress.